Beer Diva founder Kirrily Waldhorn is a beer advocate, consultant, educator, writer, and judge. 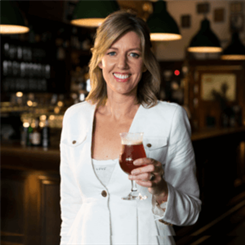 Known as Australia’s First Lady of Beer, she has turned her passion into a career, educating foodies and restaurant owners about the complexities of the ancient drop. She has trained over 3,000 bar staff how to pour the perfect pint and how to creatively match brews with food. 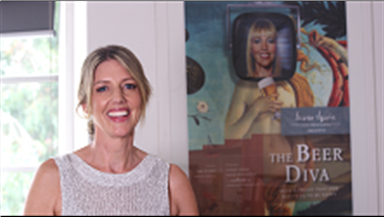 With over 17 years of industry experience, Kirrily has appeared on radio, TV and in the press to discuss beer history, gastronomy, and myths. She has brewed collaboratively and been actively involved in the brewing of more than 10 commercially released Australian beers. Kirrily offers a unique voice in a predominantly male-dominated industry, and is on a mission to make beer the new wine!